Behind The Thrills | Dive into the night: Did Cedar Point leak their 2016 coaster Valravn? Dive into the night: Did Cedar Point leak their 2016 coaster Valravn? Dive into the night: Did Cedar Point leak their 2016 coaster Valravn? Summer is coming to a close and with Fall coming up, many theme parks are announcing attractions that will be opening next year. Of course all eyes are on Cedar Point There are rumors floating around that Cedar Point would be adding a new coaster to their existing line up at the park. 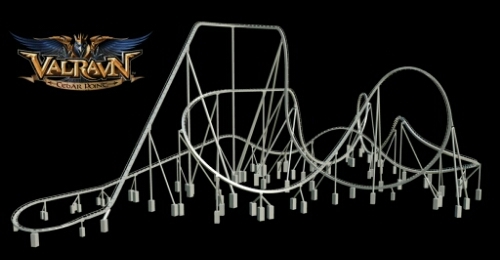 This could be key to Cedar Point taking back the title of “Coaster Capital”, as it sits right now with 16 coasters. If this new rumor is true, it will bring Cedar Point to 17 coasters, and only two shy of the current record holder, Six Flags Magic Mountain. Plus, we also get a cool new name, and story to go along with it. Cedar Point has yet to officially announce a new attraction for 2016 yet. With that in mind, everything is still considered a rumor until it is confirmed (or denied) by Cedar Point, but it’s looking pretty legit. The all new coaster will come just three years after the last major coaster at Cedar Point, Gatekeeper. 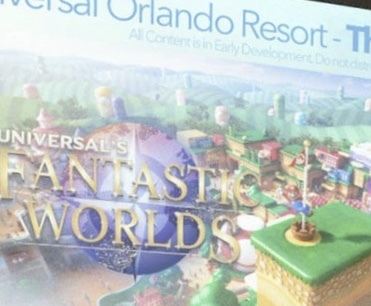 However, images of the rumored attraction surfaced online earlier today along with an application on the Google Play Store. The app has since been taken down, but the images of the coaster’s layout are still floating around. No major details have officially been announced, but from the looks of the images, it looks like at least two inversions, with a possible third, and lots of airtime. Supposedly Cedar Point will be building the B&M dive coaster for 2016. 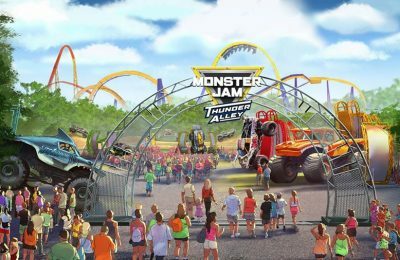 It will be the first B&M dive coaster to be built in the United States since Griffon opened in 2007 at Busch Gardens Williamsburg. The new coaster will be called Valravn. Cedar Point will be announcing the new ride on Tuesday, August 18th at 9pm according to invitations sent out to members of the media, and the official Facebook page. If you’re wondering about Valravn, the name actually comes from Danish folklore. Valravn is a raven that turns into different creatures, some with knightly abilities after eating the flesh of knights slain in battle. One legend had a king Valravn after a raven had eaten the flesh of a king killed at war. The Valravn gained the kings knowledge, and did terrible things to the kingdom. The tales also peaceless souls looking for redemption, trapped in a form that’s half raven, half beast. The only way to release their soul was to drink the blood of a child. The one bond that links all of the tales is that the Valravn flies by night…never by day. 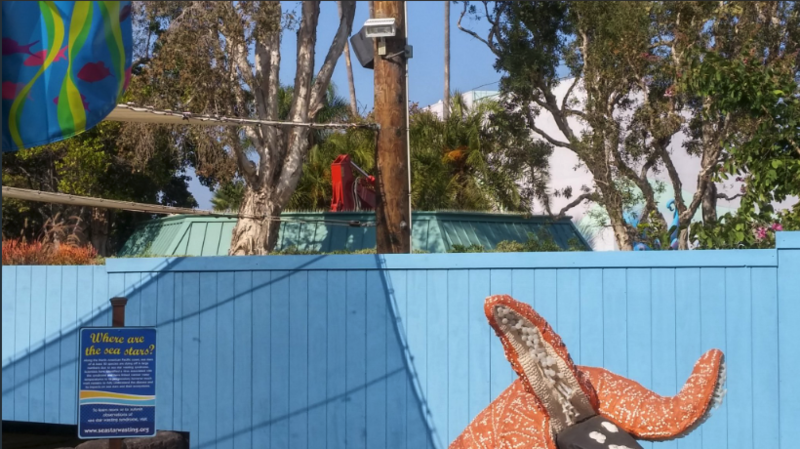 This could be key to the coaster, asit was heavily rumored to be an indoor coaster. It was also rumored that the coaster will start outside and be dropped indoors, and into darkness. Let’s hope this is true, as it would take it up to a whole new level for dive coasters. Several dive coasters, like Oblivion and Sheikra, drop into tunnels, which are great, but doesn’t have the same effect as being completely in the dark. It’s hard to tell from the pictures, but all the images were on black backgrounds. Stay tuned for more from Cedar Point, and be sure to get social with us on Facebook and follow along with us on Twitter @BehindThrills for the latest updates! For more information about Cedar Point, including tickets, visit the official website by clicking here! Previous PostMichael Myers Comes Home: Halloween Horror Nights Hollywood bringing the iconic Halloween to life Next PostDollywood announces Lightning Rod for 2016 with record breaking coaster!